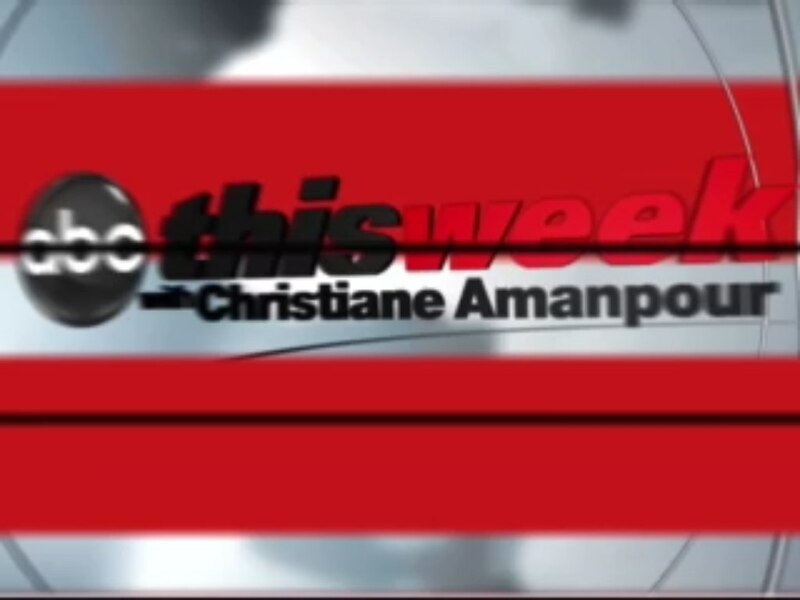 This Monday: Meet The Press and This Week (Apparently, my taste in Sunday talk shows follows the ratings [Meet The Press usually ranks first, and This Week second]. 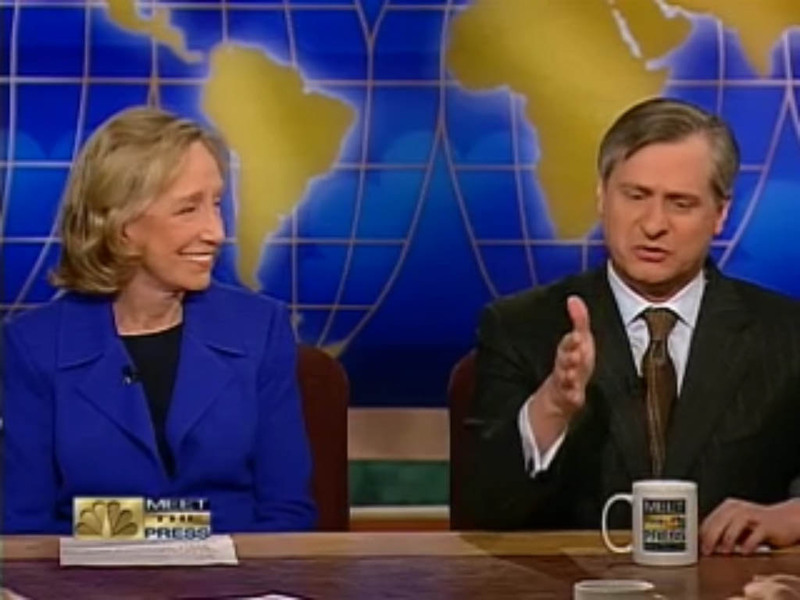 It might also be that I prefer the interview-followed-by-roundtable format, as opposed to the interview-followed by Bob Schieffer commentary on CBS’s Face The Nation). 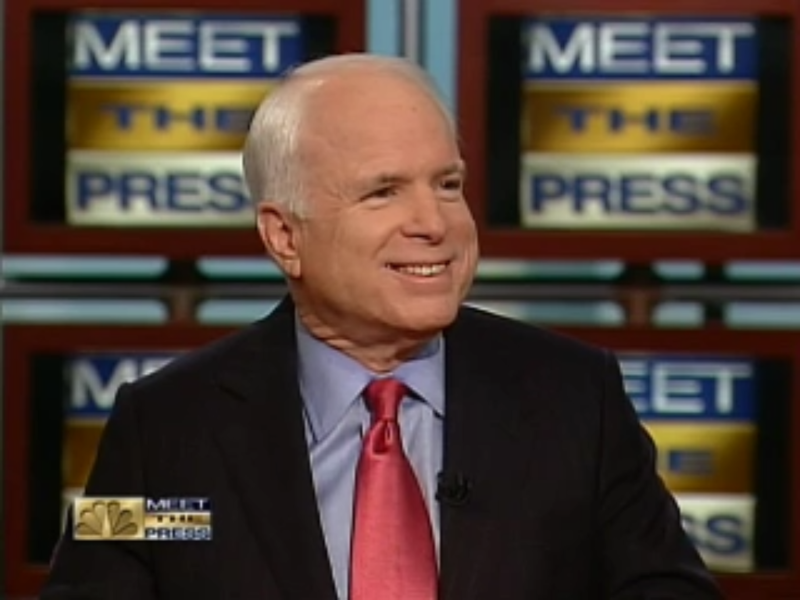 Senator John McCain (AZ-R) headlined Meet The Press this Sunday, and he currently holds second place on the list of guests with the highest number of appearances on the show. Bob Dole tops the list with 63 appearances – nine more than McCain – while Joe Biden trails at third place with 44 appearances. McCain seemed relaxed and smiled a lot, and he should’ve done more of that during the campaign (not that it would have mattered in the end). In the end though, Representative Schultz did a bad job of defending and promoting the Democratic Party’s agenda. On top of that, Schultz’s constant interruptions were annoying, and it brought political bickering to a roundtable discussion that, more often than not, is characterized by its civilized debate environment. On This Week, Elizabeth Vargas had her hosting début, making her the fifth ABC anchor to try out for the seat left empty by George Stephanopoulos when he left for Good Morning America (in addition to Jake Tapper, Terry Moran, Barbara Walters and Jonathan Karl). She did a good job, and I’d have no problems with her taking over the job permanently. 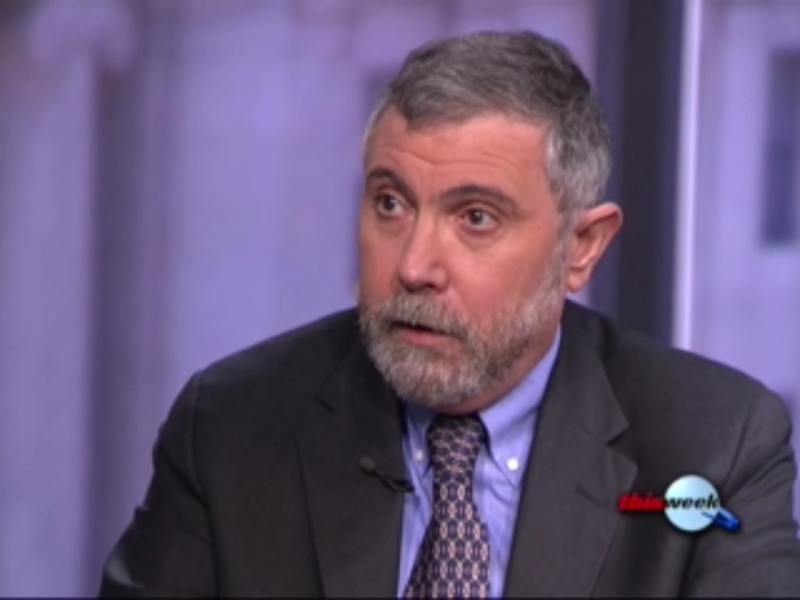 KRUGMAN: Look, let me explain what happens, because you actually have to read the CBO report. And what the CBO report tells you — in fairly elliptical language — is that what it will do, what the bill will do is bring a lot of people who are uninsured, who are currently young and therefore relatively low cost, into the risk pool, which will actually bring premiums down a little bit. It will also have, however, let — lead a lot of people to get better insurance. It will lead a lot of people who are currently underinsured, who have insurance policies that are paper thin and don’t actually protect you in a crisis, will actually get those people up to having full coverage. That makes the average payments go up, but it does not mean that people who currently have good coverage under their policies will pay more for their — for their insurance. In fact, they’ll end up paying a little bit less. Whatever George Will had to say at that point didn’t really matter. Senator Lamar Alexander (TN-R), who held the Republicans’ opening remarks at last Thursday’s health care summit, followed his impressive appearance at Blair House with an impressive performance on This Week. Intriguingly, the failed candidate for the 1996 Republican presidential nomination framed the United States Senate as “the protector of minority rights”, instead of being the protector of small states – some of which voted for the president heading the current majority (such as Vermont and Delaware – both with 3 electoral votes – and Rhode Island, Maine and New Hampshire – with 4 electoral votes). DONALDSON: … The president has to drop his George B. McClellan mask and become Ulysses Grant. Be ruthless. That’s what a Franklin Roosevelt would have done. That’s what Harry Truman would have done. WILL: … Sam, you want the president to be Ulysses Grant, who won the war by his wonderful indifference to his own casualties, and I think some members in the Senate and in the House would not approve of that. Before I end, what was this week’s most memorable phrase? John McCain’s “unsavory deals” (repeated six times). If nothing else, the phrase stuck with me. (Videotape) PRES. OBAMA: Let me just make this point, John, because we’re not campaigning anymore. The election’s over. MR. GREGORY: What was your reaction to that moment? SEN. McCAIN: Well, look, the president said that the, the campaign is over. What I was saying to the president is that you–the mistake that has been made is assuming that with 60 votes in the Senate and overwhelming majority in the House, you can move legislation through which has to be bipartisan in nature. It has to be. Every major reform has had bipartisan support. And so what they ended up with is, in order to buy votes, they did these unsavory deals. They are unsavory. To say that 800,000 people in Florida will be carved out from any reduction in a Medicare Advantage program–330,000 of my citizens in Arizona are Medicare Advantage enrollees. To … say that you’re going to put $100 million in for a hospital in Connecticut? Look, these are unsavory deals. They were done behind closed doors, and it has been–look, I’d have town hall meetings all over the place in my state of Arizona. People object to the process as much as they do to the product. SEN. McCAIN: And policy cannot be made through an unsavory vote-buying process. mccain calls the deals in the healthcare bill unsavory, but some of that pork was exquisitely spiced and tender.